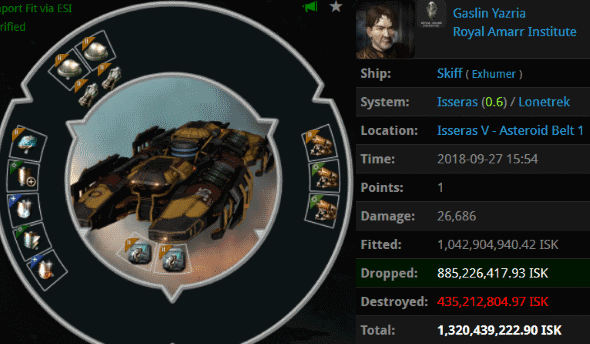 There's a reason why it's against the law to carry around skill injectors. Ah, the myth of the ungankable Skiff. Gaslin Yazria fell prey to it--and to his greed. Gaslin got his myth and his Skiff busted by Agents Max August Zorn, Ernst Steinitz, Niels Henrik Abel, and Augustus De Morgan. "Nightmare" is such an interesting name for a battleship. 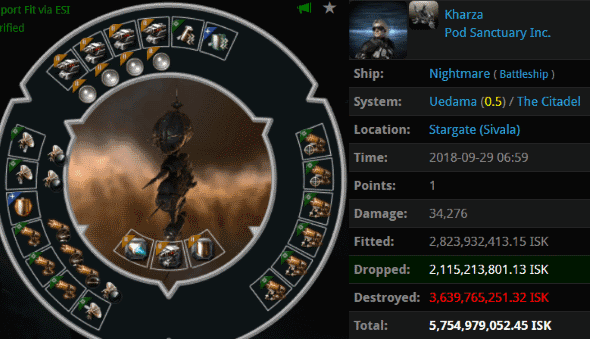 If, like Kharza, you disobey the Code, then the Uedama system truly is a nightmare. But if you follow it, like Agents Justin Kusion, Jayson Kusion, Johnathan Kusion, Jeremiah Kusion, Joshua Kusion, Joel Kusion, Jackson Kusion, Jake Kusion, Joseph Kusion, Jayden Kusion, Jason Kusion, Jacob Kusion, Jeffery Kusion, Jeremy Kusion, Jonas Kusion, Josh Kusion, Jimmy Kusion, Josia Kusion, Jessie Kusion, Jack Kusion, and HSM Rear Admiral, then a visit to Uedama is like a pleasant dream. Speaking of Uedama nightmares, can you believe Mercado Fenicio corporation actually put up a refinery in Uedama? 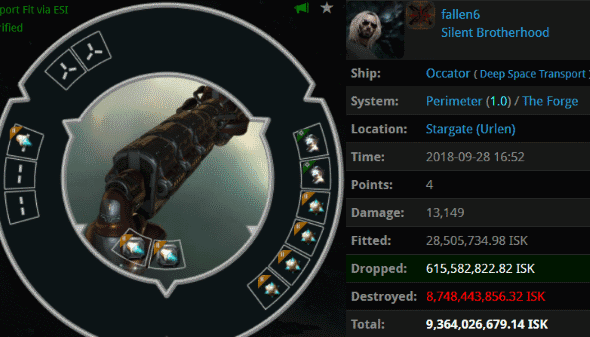 After weeks of our mighty wardeccers smashing refineries into bits? Agents Discofitta, Delicate Feminine Flower, Blazing Pancake, Kissemurra, Love Humps, Ice is Nice, zykerx, arkon trader, Sorgia, commercial time, Eve Undergr0und, comet chaser, Jathrine, Rainbow Cake, Chocolate Rainbow Cake, Sigrid Tystnad, Dominated, HANDY ST0NER SMURF, Celeru, Kermakakku, Jason Kusion, Jayson Kusion, Justin Kusion, Jake Kusion, William Tancos, Theodor Tancos, Luisa Tancos, Tarkk Navin, Lisa Tancos, Jacob Tancos, Laura Tancos, Joel Kusion, and Jayden Kusion brought a terrifying fleet into battle and cleared Uedama of 22.2 billion isk worth of filth. Gonna need a permit for that. 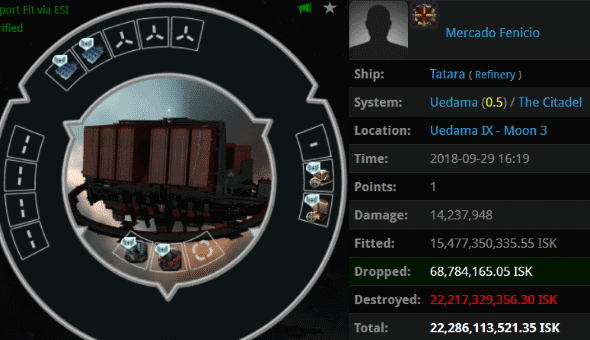 Also this week, the appropriately named AWOLGamers corp got wardecced and lost a 19.8 billion isk refinery. Carebears, don't bother with refineries. They'll only bring you pain. General Nicolai Carpathia knew to avoid Uedama at all costs. So he went to Niarja instead. 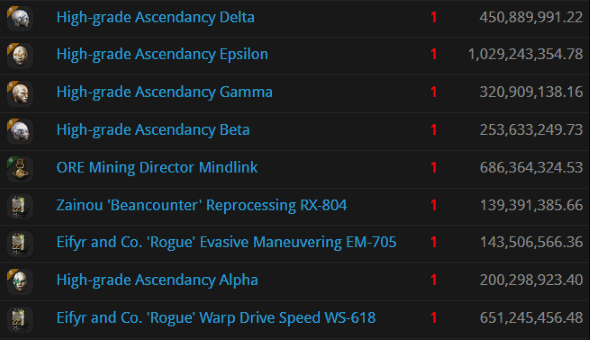 When will people learn that all of highsec belongs to the Code? Until they do, they must die and lose all of their stuff. 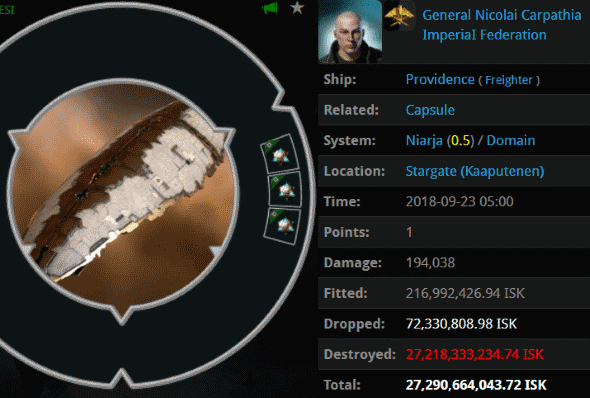 General Nicolai lost 27.2 billion isk when he blundered into a massive gank armada comprised of Agents Daniel Chanline, tumblr ptsd, patyooki, Shy Elf Trap, James BIG BONED, erobb, Serious Web Developer, oink piggu, PogChampion, Jason Kusion, Justin Kusion, isBread Mackminer, Joel Kusion, Jackson Kusion, Jayson Kusion, Rebecca Rackner, Yan Rackner, Jemma Rackner, Joseph Kusion, Jake Kusion, Jayden Kusion, Jeremiah Kusion, Joshua Kusion, Jacob Kusion, Johnathan Kusion, Tiffgrl Donier, Josh Kusion, Jack Kusion, BANELING, Jeffery Kusion, Angered Miner, Emily Rackner, Jessie Kusion, Jani Rackner, Kirra Rackner, Calm Miner, Saltier Miner, Celestia Rackner, Jimmy Kusion, Disconcerted Miner, Vindictive Miner, Jonas Kusion, Jeremy Kusion, 2ndClass Slave Dax, Josiah Kusion, and brainlet. Gonna need a permit for all of that, too. You know what? Just get a permit. Kueyen was AFK mining in a Mackinaw. I don't know why, but for some reason she assumed she was completely safe in highsec. Agent Ima Wreckyou deleted her ship and her implants. I wonder if that left an impression on the miner? 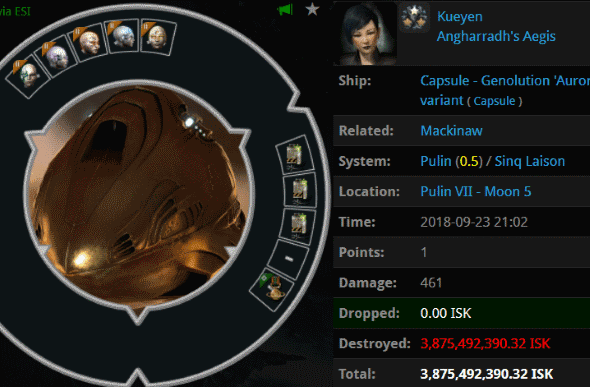 Kueyen lost 3.8 billion isk worth of implants. And though it wasn't the most expensive one, I'll bet the loss of her ORE Mining Director Mindlink stings the most. Gonna need a permit for that. As usual, everybody is so stunned by the scale of the preventable losses that they have nothing to add. Just more proof that Jamey and his CHODE. slaves are still irrelevant to the vast majority of EO denizens. Such "losses" are easily replaced. That is some A grade butthurt you have to come here daily and delude yourself. The loss is real to you miner, you know it. That is why you post daily and refresh hourly........what a wipeout it was to lose your barge it seems.